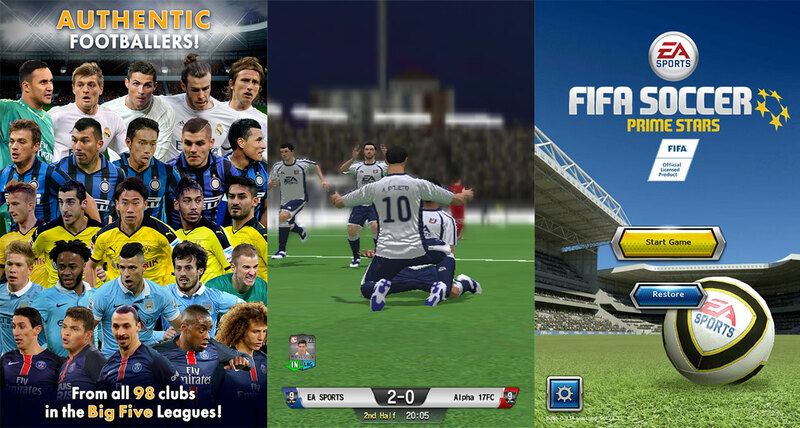 ELECTRONIC ARTS has released a new game, FIFA Soccer: Prime Stars, a week ago for Android users. This game has all the latest FIFA stuff till 2016 and is one of the most advanced version of FIFA game for mobiles. Currently, the game is not available worldwide and is limited to few countries only, so if you want to play this game, you can download the FIFA Soccer: Prime Stars APK file from the link provided below. We always update the game to its latest version, so you don’t need to worry about updates. The game is free to download but contains in-app purchases that can speed up your game play. You can know about the key features of the game below. The game has very realistic graphics that increases the gaming experience. The game has included Premier League (England), Liga Espanola (Spain), Bundesliga (Germany), Serie A (Italy) and Ligue 1 (France), which makes it one of the full features and up to date FIFA game. The game has challenge mode, in which you can win skills for players. The gamer can scout their favourite players. The game also has a training mode where we can train the players. Complete control over team formations and strategies. 3D match mode for the unleashed gaming experience. Please note that the APK file provided above is directly downloaded from Google Play and has not been modified by any means. Though we always recommend users to download applications and games from Google Play, sometimes due to circumstances the users are forced to download the APK file from external sources, so please download from trusted sources only. To get more updates on FIFA Soccer: Prime Stars and other EA games, stay tuned with us.